Just look at my slide set--this has been known for quite a while. Glad to see it get press though. 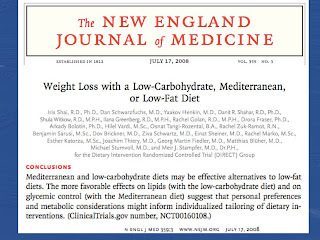 The answer from this article, in terms of calories burned, seems to be low carb followed by low glycemic index/Mediterranean with low fat coming in last--meaning you lose more weight eating the same amount on calories on the lower carb diets than the lower fat diets. 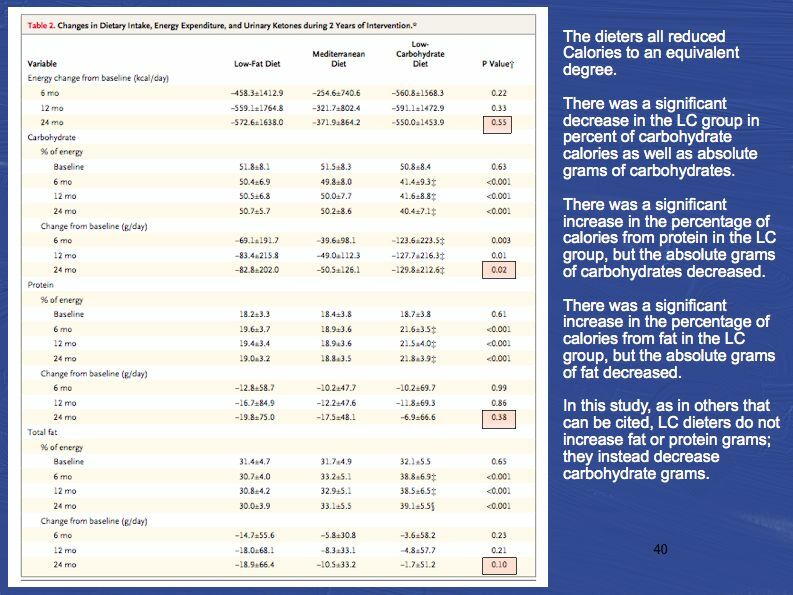 My suspicion is that the 10% carbs is likely too low, and can only be achieved in a metabolic unit of a hospital, as done in this study. 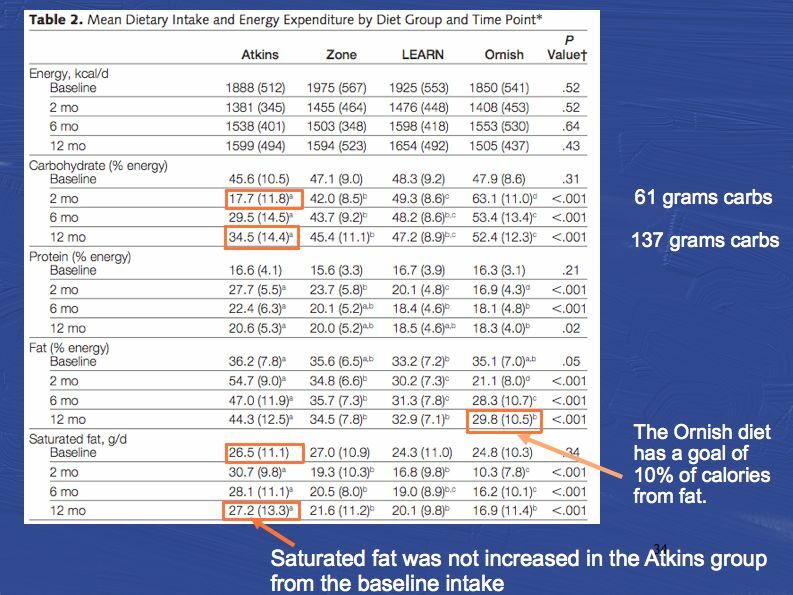 In the real world, actual percentages of carbohydrates/protein/fat obtained on an Atkins diet were 18/34/56 % and likewise, the amount of fat in the Ornish diet obtained, was not less then 20% of calories, despite a goal of 10%. 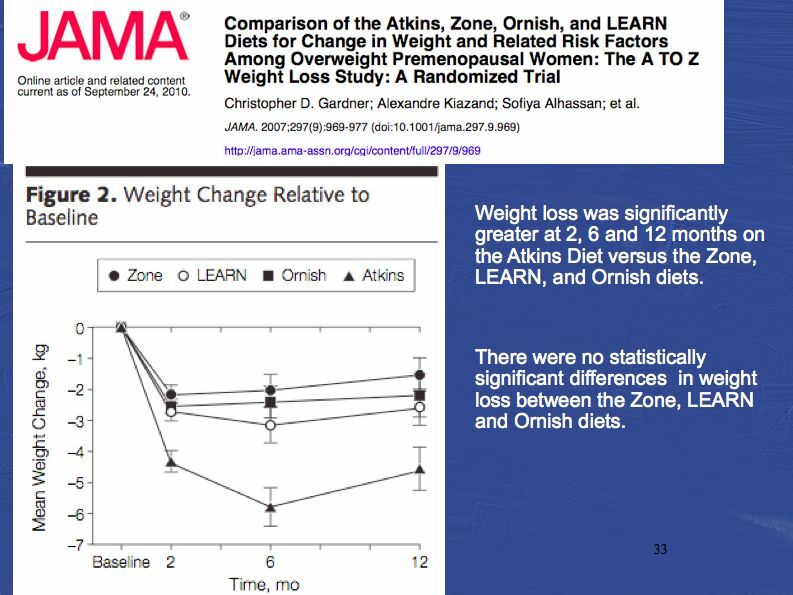 I am basing this on the A to Z study of Atkins, Learn, Ornish, and Zone diets. 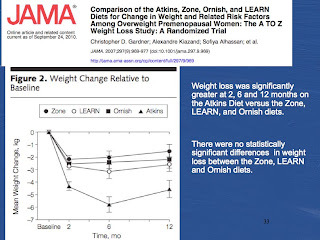 (The Zone diet is a lower glycemic index, 40/30/30 diet, more Mediterranean-like). 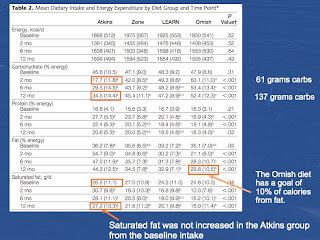 So, most people will not be able to be achieve the fat goals on a low fat diet (i.e. real world Ornish). 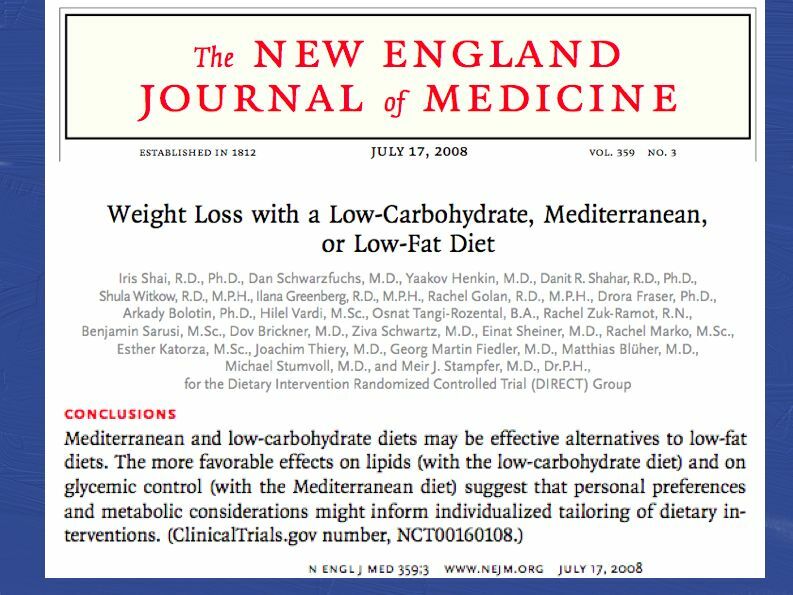 Also, most people, when told to eat a lot more fat and protein and much less carbs cannot actually do that as well as they are instructed (i.e. real world Atkins). 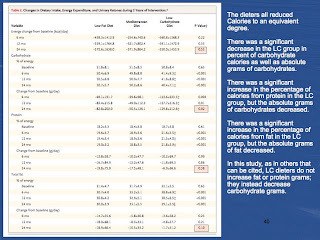 It is evident though that trying to lower carbohydrates and achieving a 18% calorie intake of carbs, and even up to 35% in the long run is still metabolically distinguishable from a 20% fat diet, and I would argue an improvement regarding several outcomes, chiefly weight, but more importantly blood sugar control. This is an interesting take on the recent red meat news. 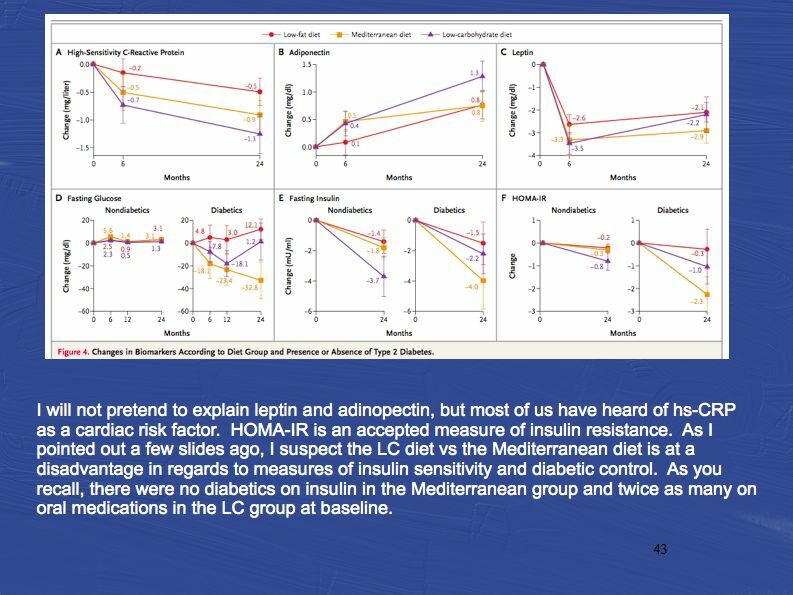 Of course, correlation is not causation and in observational studies, it is difficult to identify all confounding variables. One more post. I wanted to share the PDF of the Samaritan's Heart to Heart magazine that I was profiled in along with one of my patients. Here is a great recipe for cauliflower crust pizza. After the link I will give you my own tweaks. I used a cheese grater and avoided the stems. It looked like rice after I was through. I must warn you, it makes a lot of cauliflower rice. We had a total of six 10-11 inch pizzas from this I used a bit less parmesan cheese and more cauliflower and I added a tablespoon or so of olive oil to the mixture. Sautéing the vegetable toppings is key. I really felt like this was as good or better than regular pizza. It did not seem like I was settling for anything. I just used the Contadina squeeze bottle sauce (yet, it has corn syrup, but overall sugar levels are low in it). This is a very large infographic I came across, and I plan on putting it up in my exam rooms. 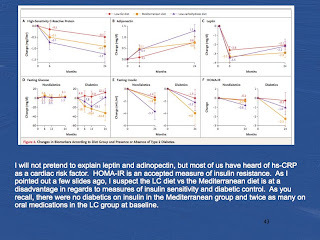 It summarizes pretty much everything you need to know regarding the reasoning behing a lower carb diet.